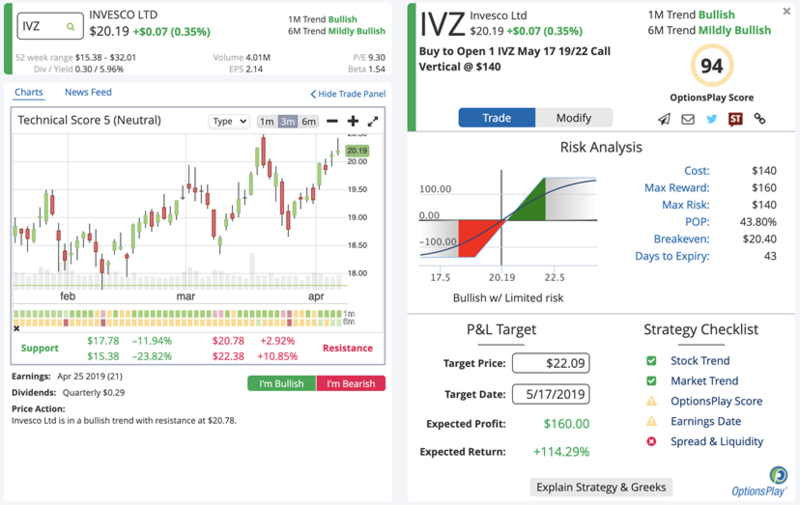 The bullish DailyPlay we chose for Friday, April 5th is Invesco (IVZ). IVZ is part of the Financial Sector (XLF). XLF has rallied 1.18% higher over the past month and its 1m trend turned bullish on April 1st while breaking above its $26 resistance level. Invesco’s 1m and 6m trends turned bullish on April 2nd and recently broke above its $20 resistance level, which now becomes support. With a technical score of 2 (out of 10), IVZ is a weak stock that is starting to trend higher. As a stop loss, if IVZ was to trade below $20 for multiple days, this would invalidate our analysis and suggest getting out of the trade.